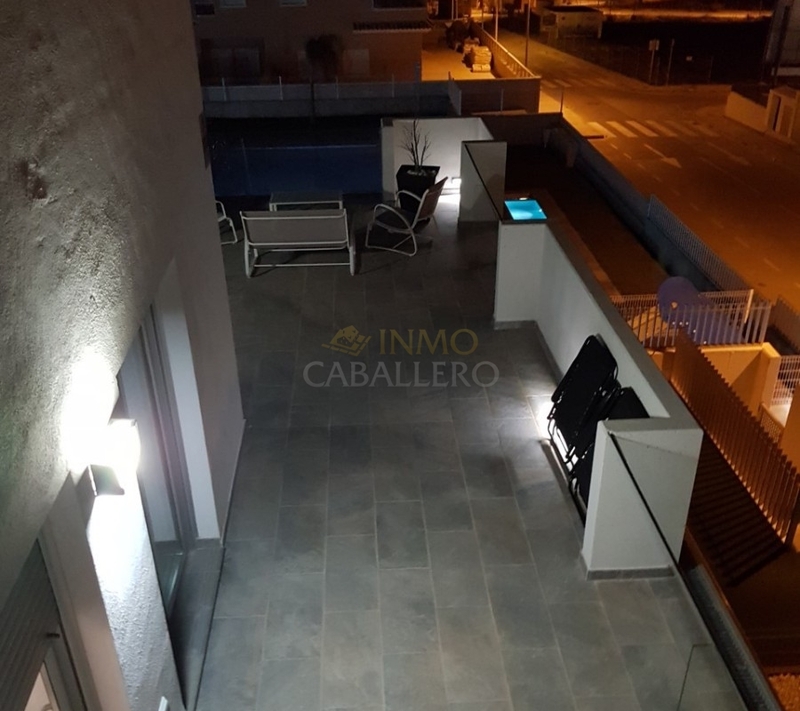 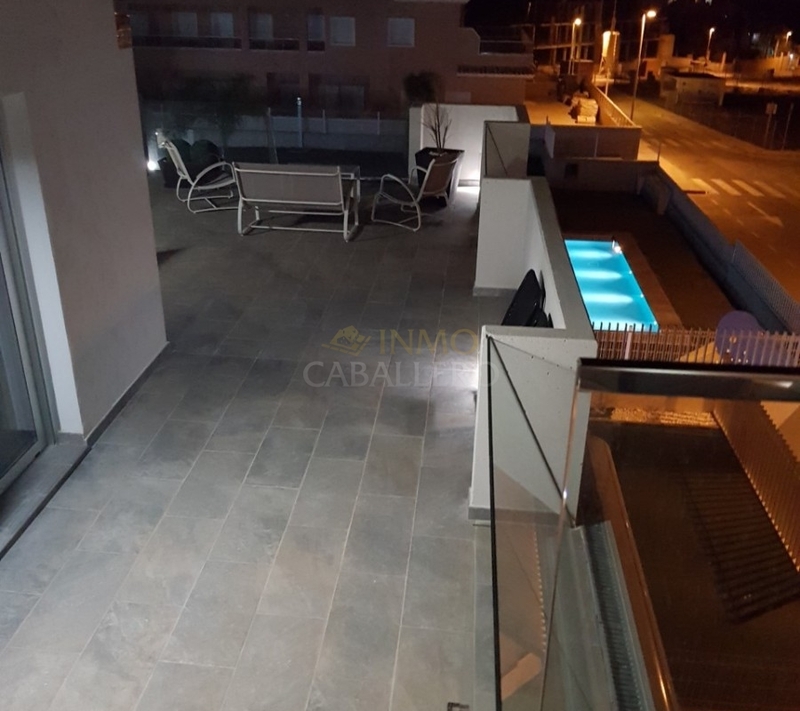 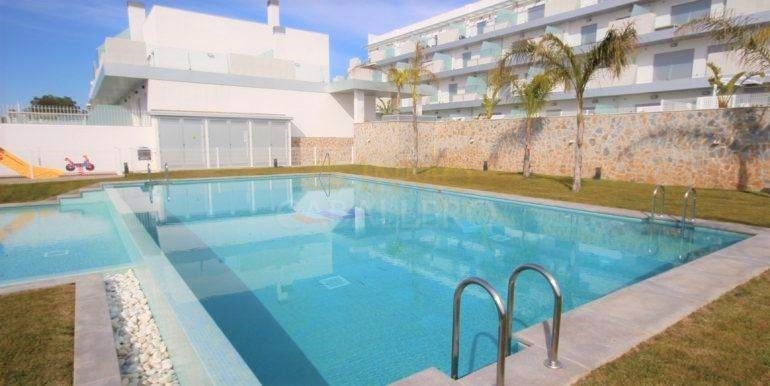 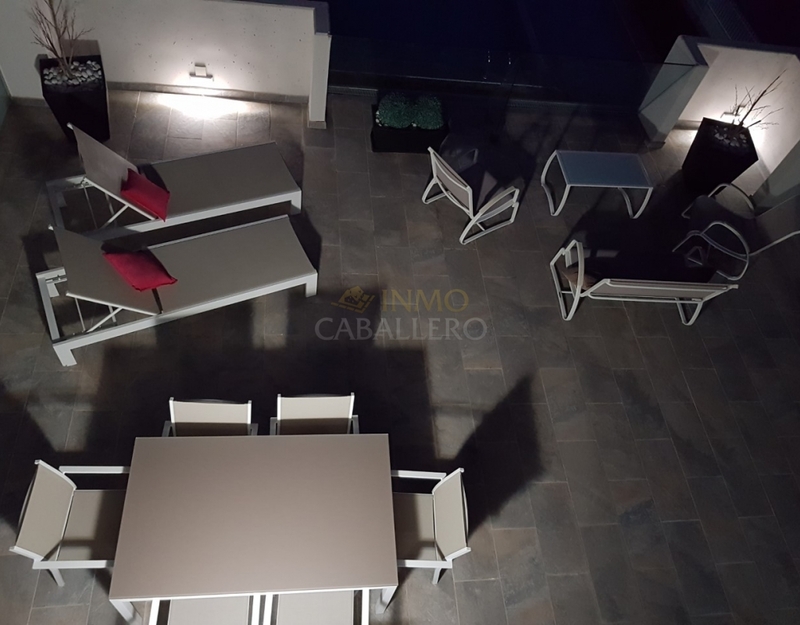 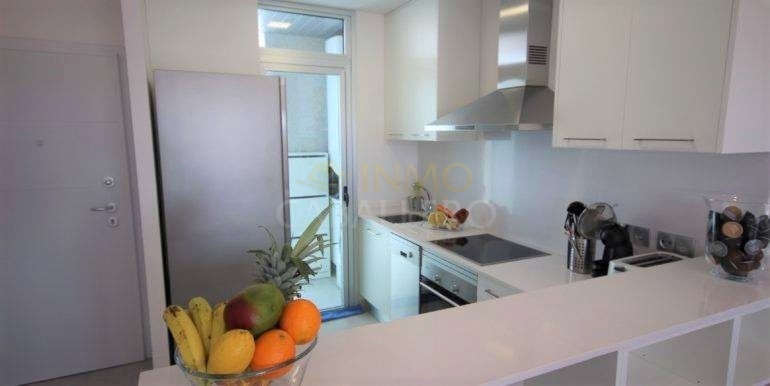 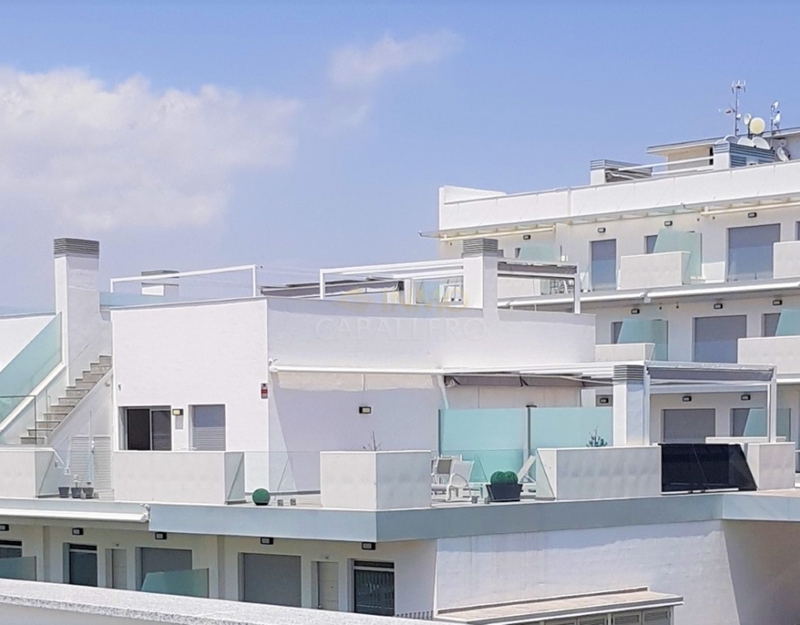 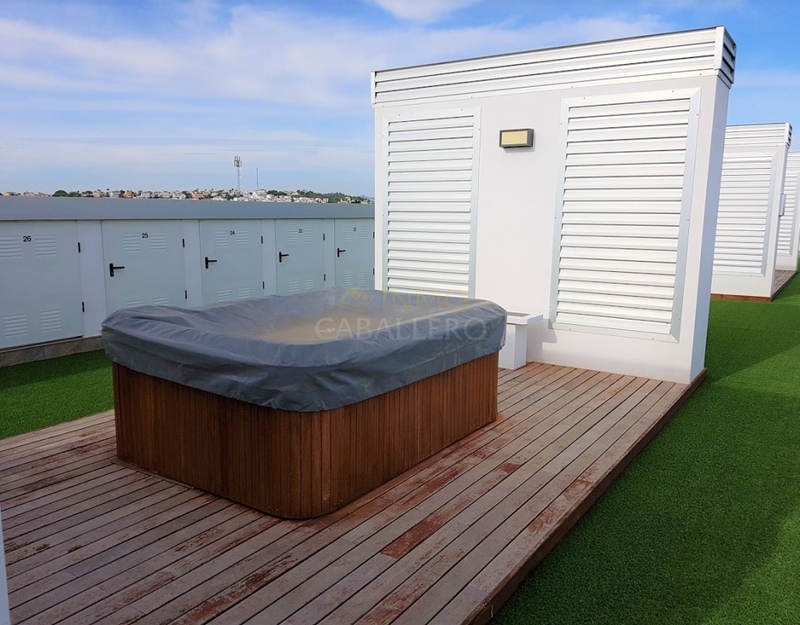 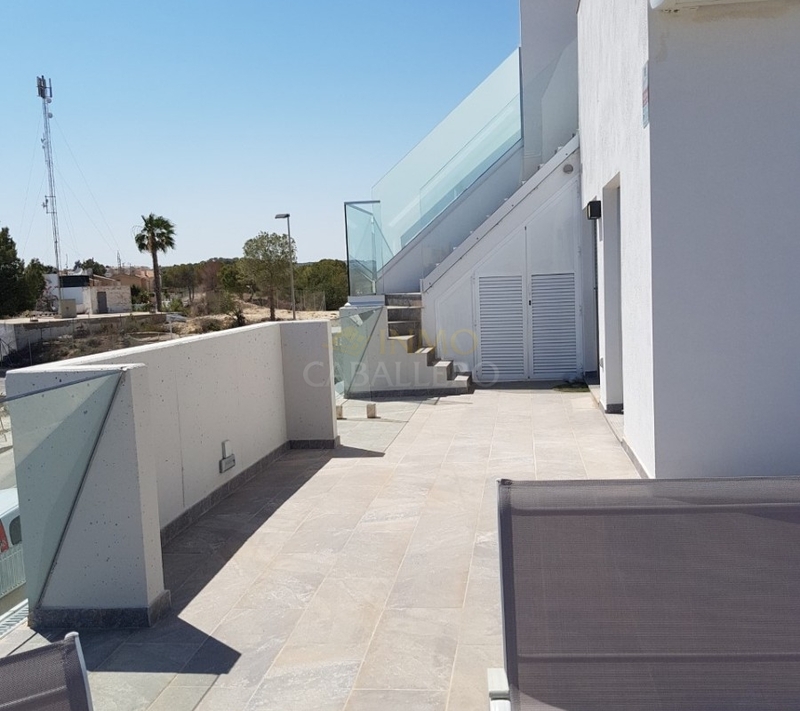 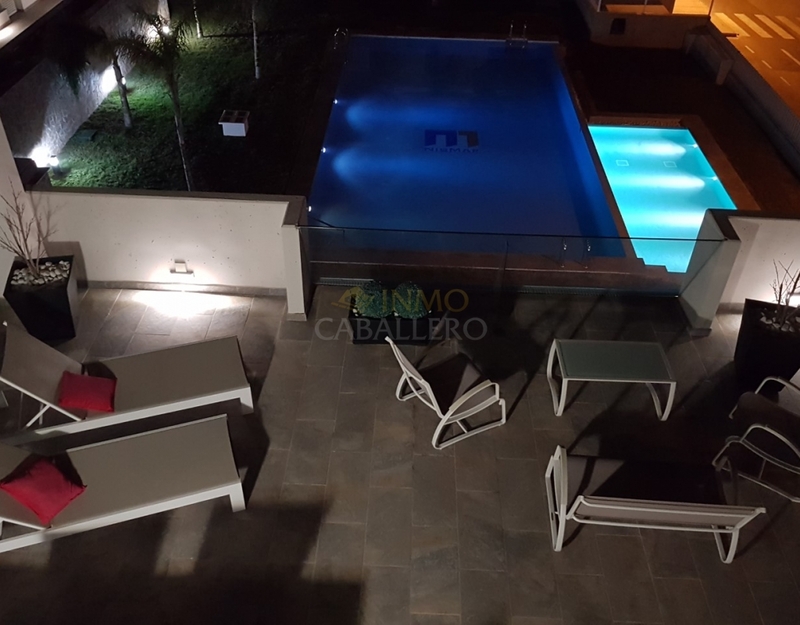 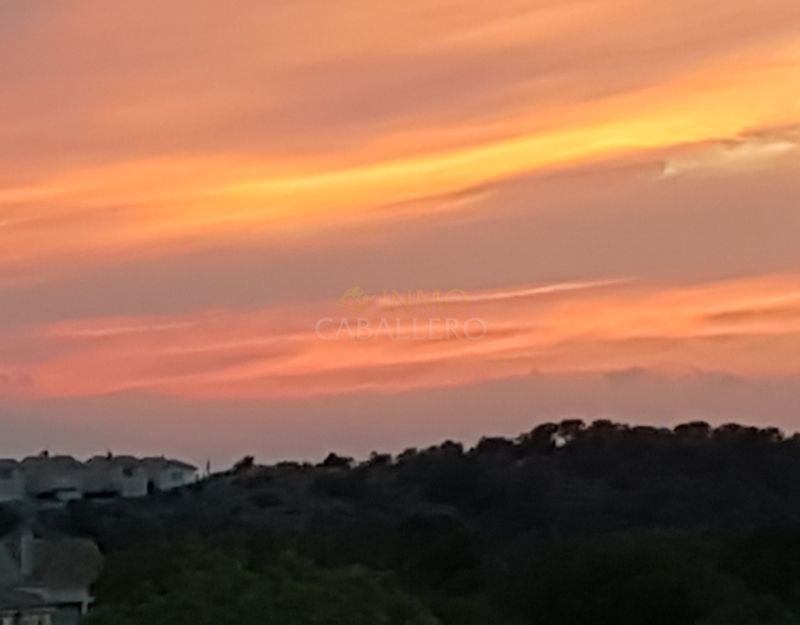 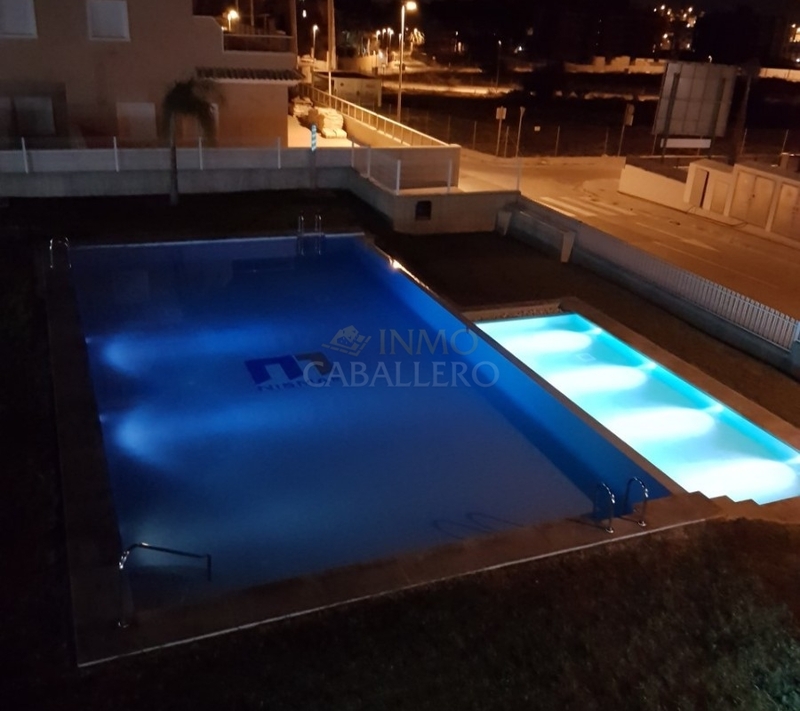 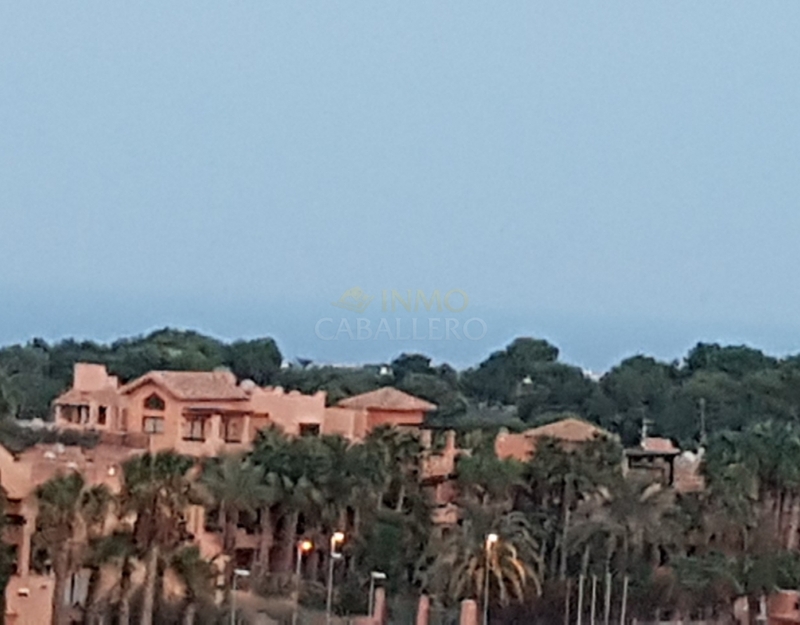 We have the chance to present you this beautiful apartment with sea view of 2 bedrooms, 2 shower rooms, a kitchen, a terrace of 69 m2 and a solarium of 70 m2. 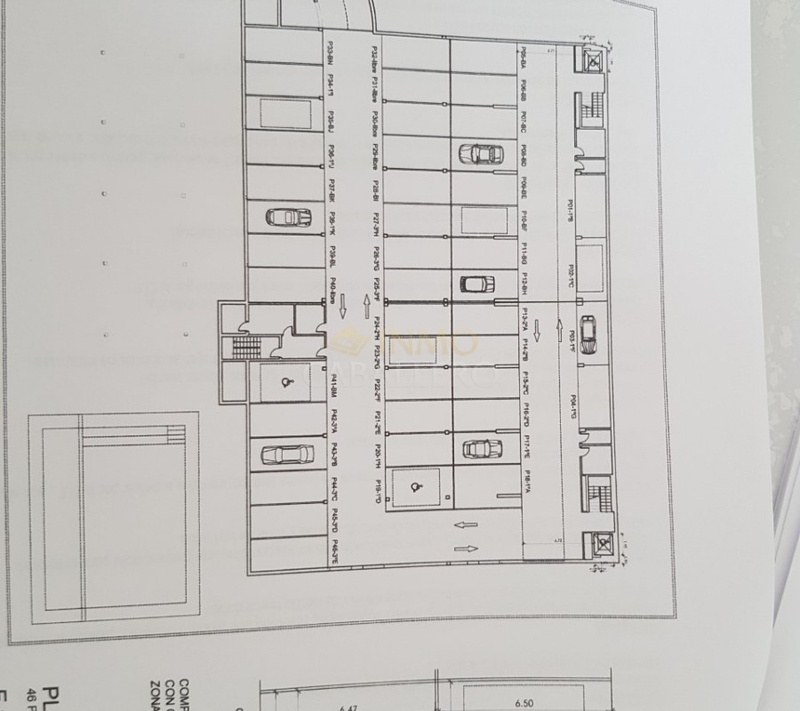 Private garage - storage room. 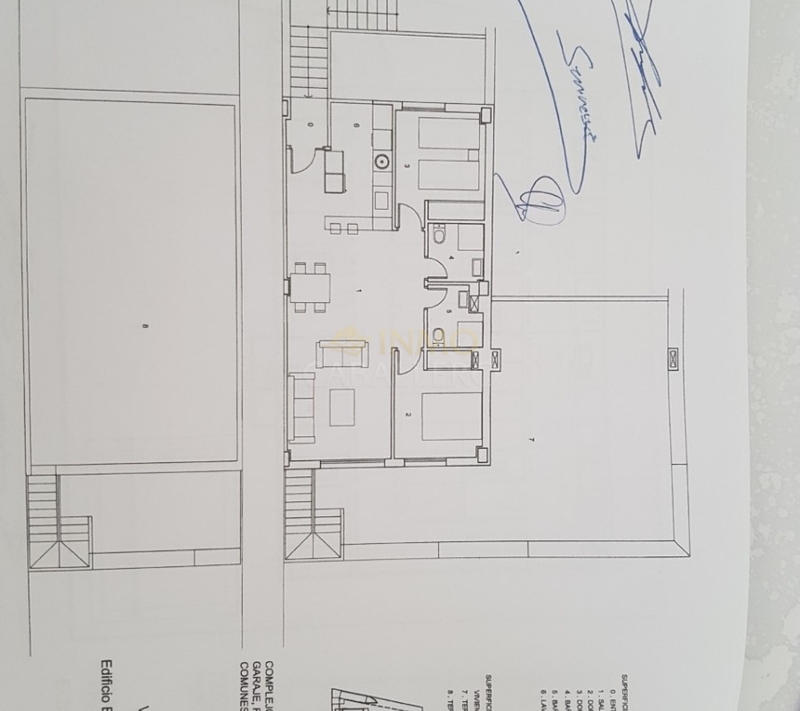 This apartment is very bright thanks to its southern orientation. 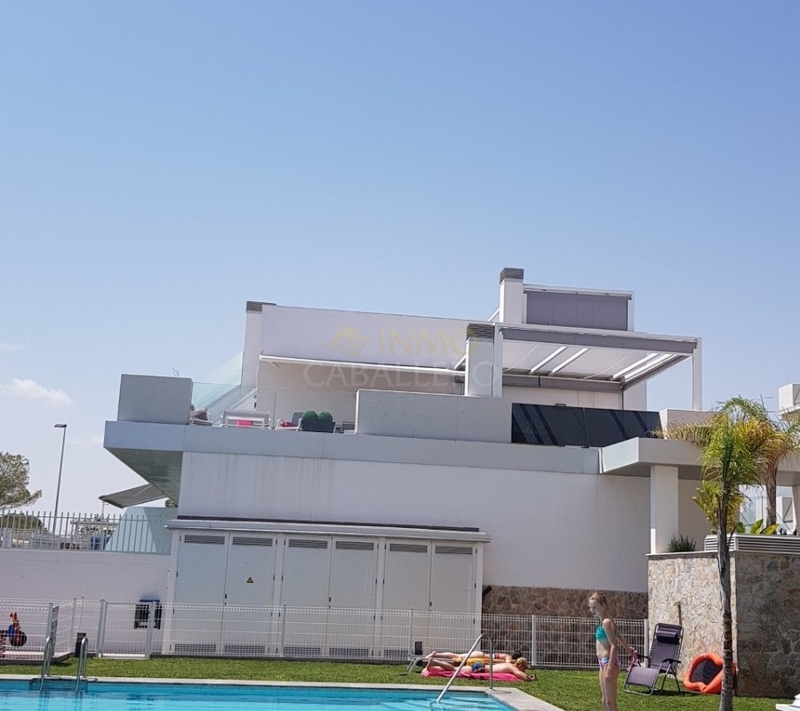 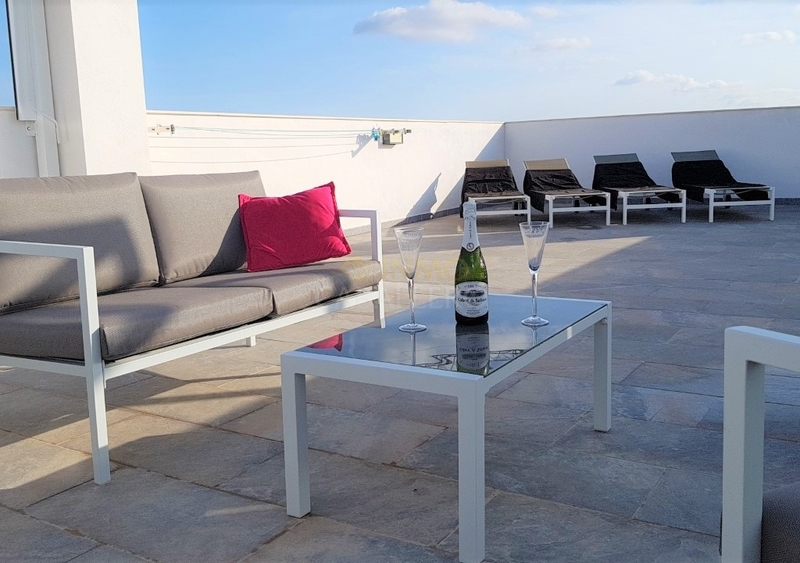 It consists of a beautiful living / dining room with a fully equipped American kitchen, a laundry room, 2 double bedrooms with wardrobes, 2 shower rooms, 1 large terrace overlooking the pool and with open views to the sea. 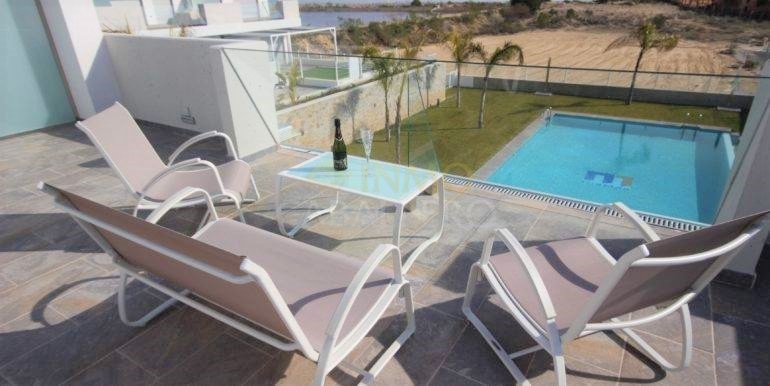 is equipped with a living room, a dining area and deckchairs. 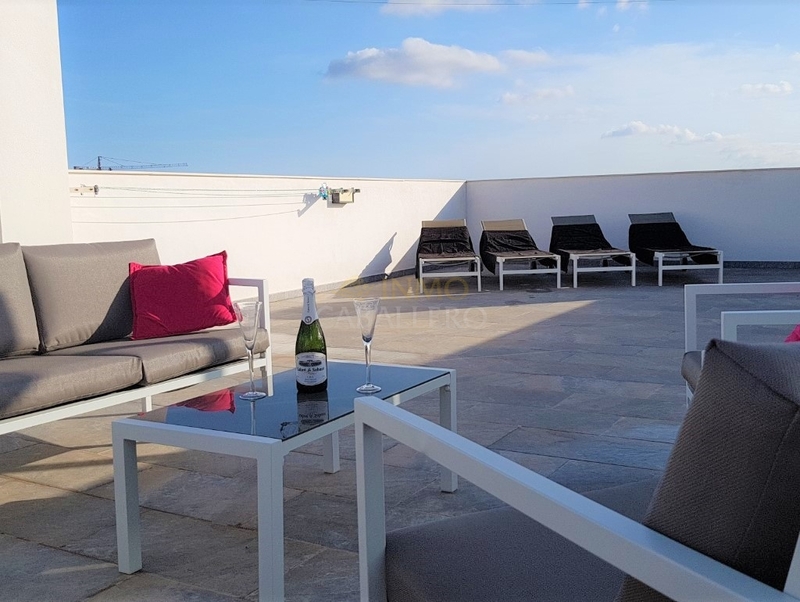 From this terrace you have access to the large solarium which will dazzle you with its panoramic views and its garden furniture. 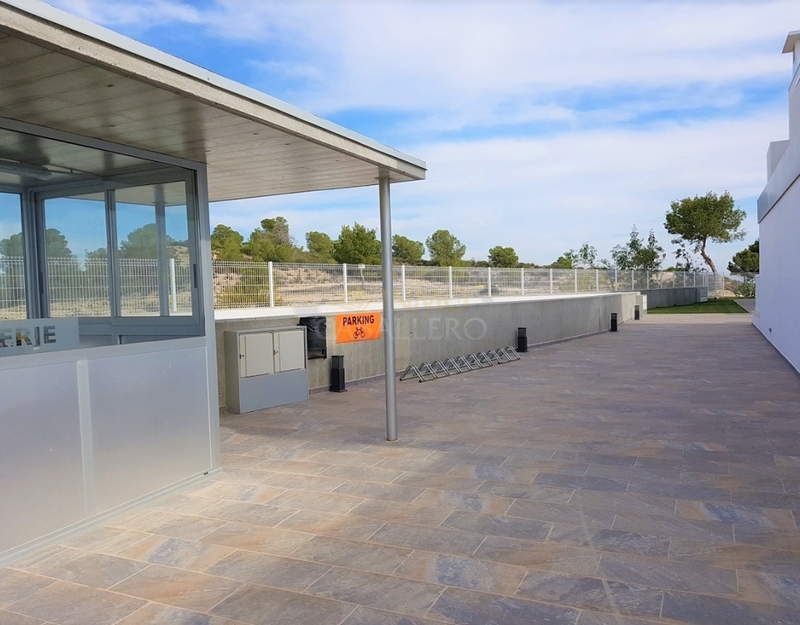 There is also a private garage and garage with a storage room. 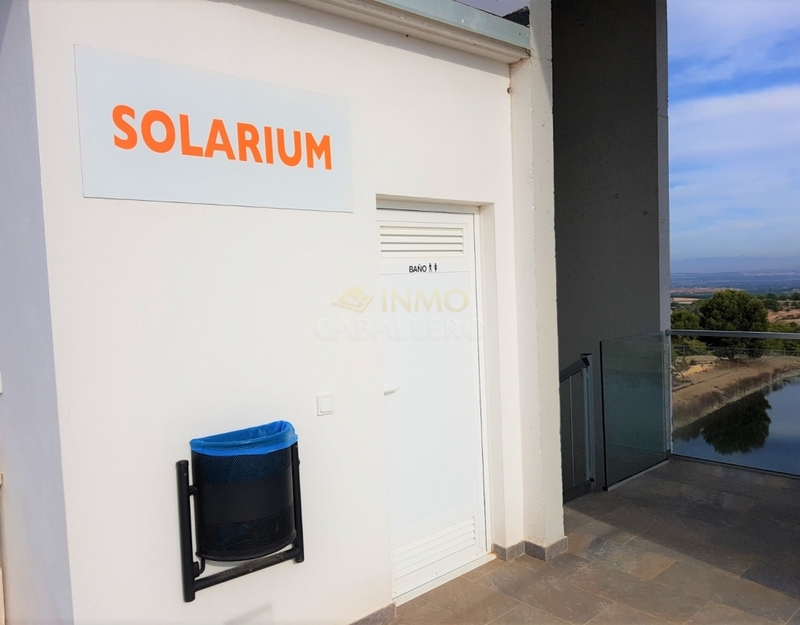 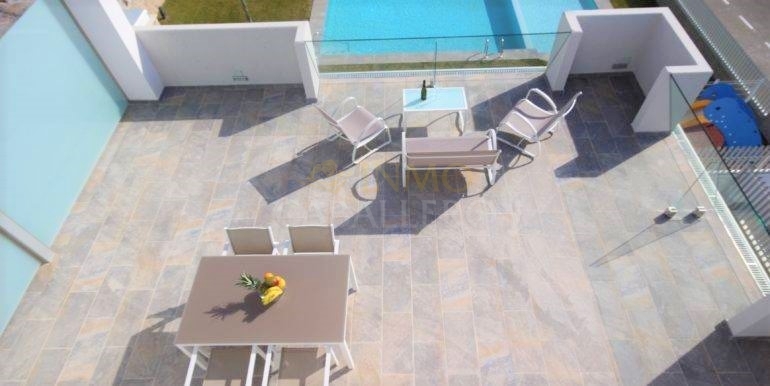 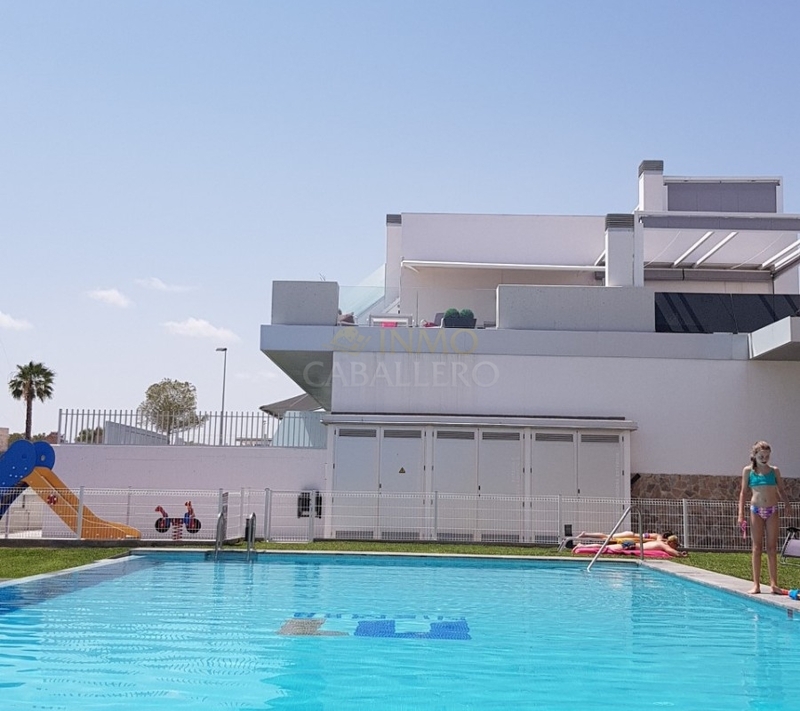 Inside the property, you can enjoy a swimming pool, a paddling pool, a garden, a playground for children, a common solarium where there are 2 jacuzzis, 2 barbecue areas with terraces where you can enjoy an incredible view of the sea, the salinas, the pink lake of Torrevieja and the golf courses of Villamartin. 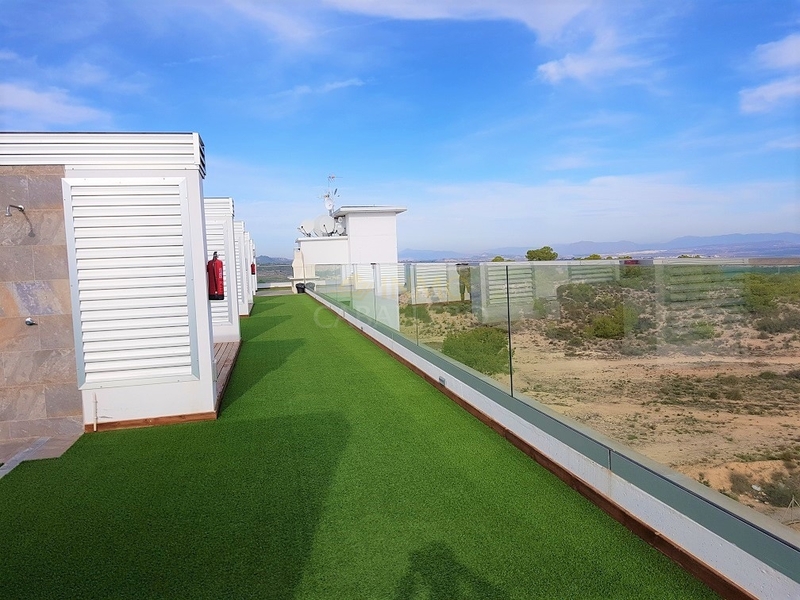 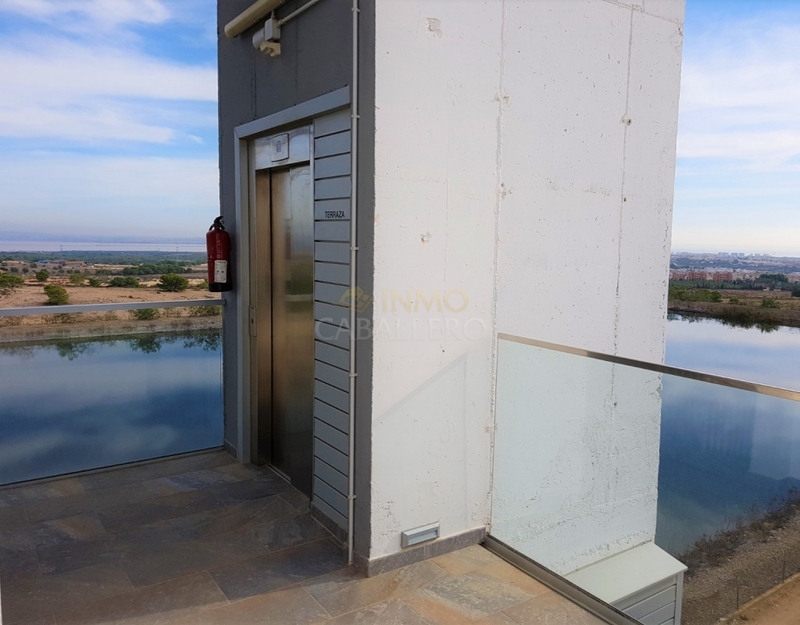 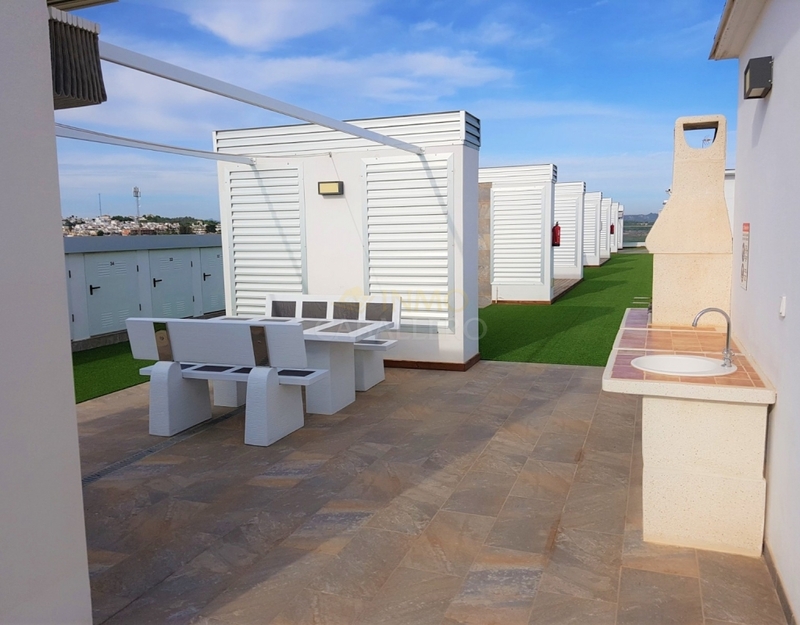 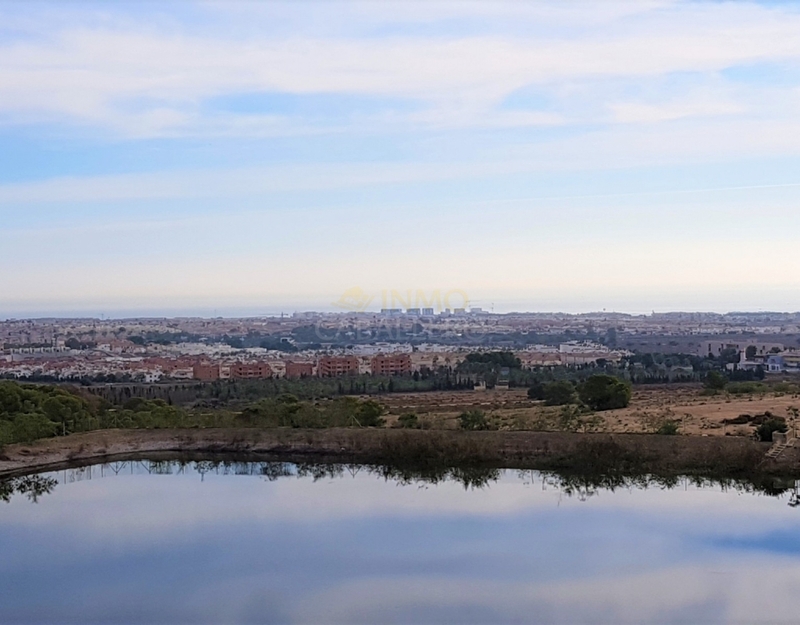 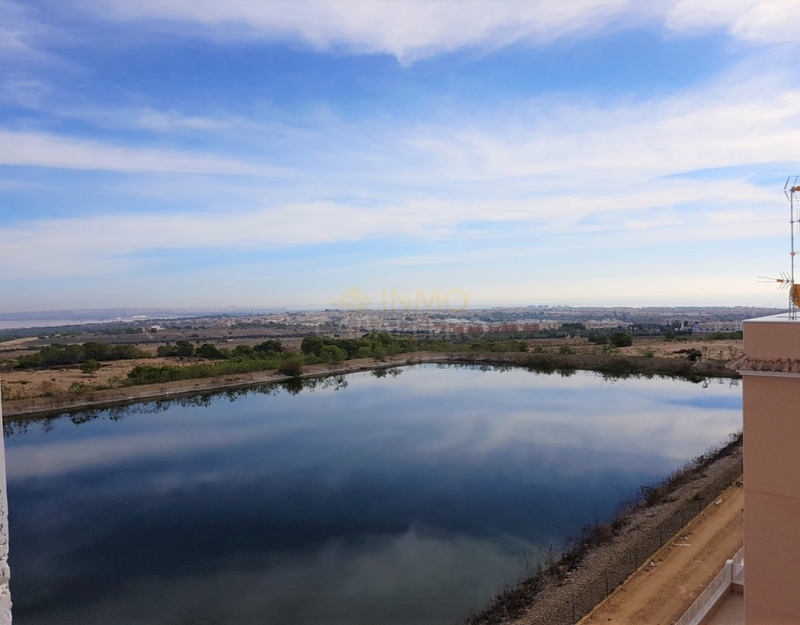 In the heart of the Orihuela Costa region, near the golf course and just minutes from various services and Zénia Boulevard. 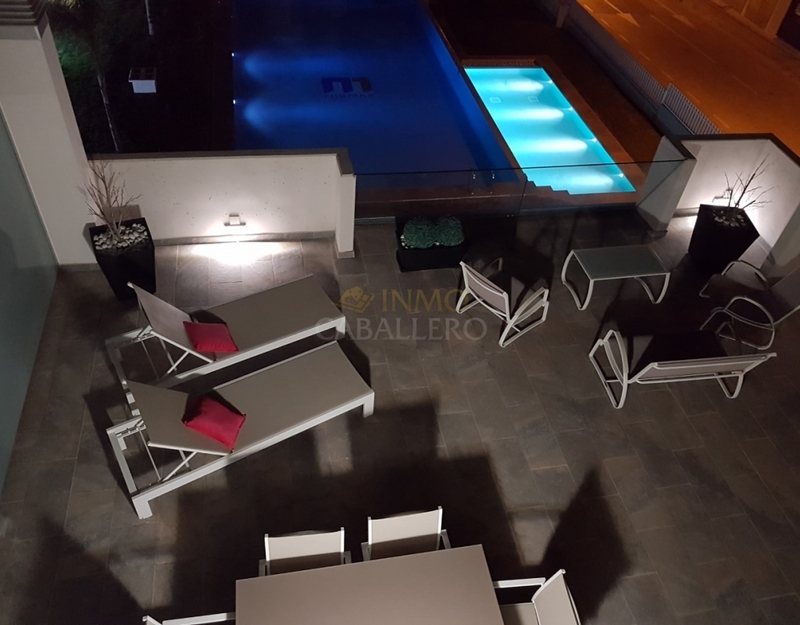 Come to discover it and you will be seduced!